Houghton Mifflin Harcourt, 9781118386491, 288pp. As a mom with a full-time job, Ellie knows how busy life is when you're juggling your family's needs. Now, you can stop stressing over whether to eat healthily or to eat fast. The recipes here-from Cheddar Apple Quesadilla, Pork Piccata with Spinach and Garlic Mashed Potatoes, Marinated Flank Steak with Blue Cheese Sauce to Chocolate-Cream Cheese Panini Bites and Fig and Ginger Truffles-are ideal, regardless of the time, or experience, you have in the kitchen. When so much in life is complicated, isn't it nice to know that eating doesn't have to be? 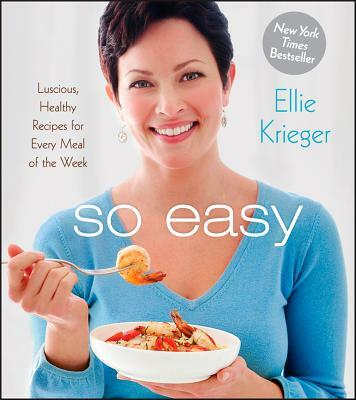 After making and enjoying the meals in this book, you will say along with the title, "That was SO EASY!"